It´s the second time that protagonists from the Vienna scene provide a contribution in the prestigious Funk Mundial series. After Stereotyp, who provided the grand debut volume, it’s cosmic afro-dubsters Makossa+Megablast’s turn. The two Austrian producers and DJs, signed to Kruder+Dorfmeisters G-Stone label, have turned heads with their banging „Kunuaka“ 12“ and the following album. For their Funk Mundial production, they teamed up with the infamous Gaiola Das Popozudas, who are considered the fiercest female baile funk crew from Rio De Janeiro, Brazil. Gaiola Das Popozudas enjoy huge popularity in Rio for their steamy shows, which also include a male strip dancer (see photo below). 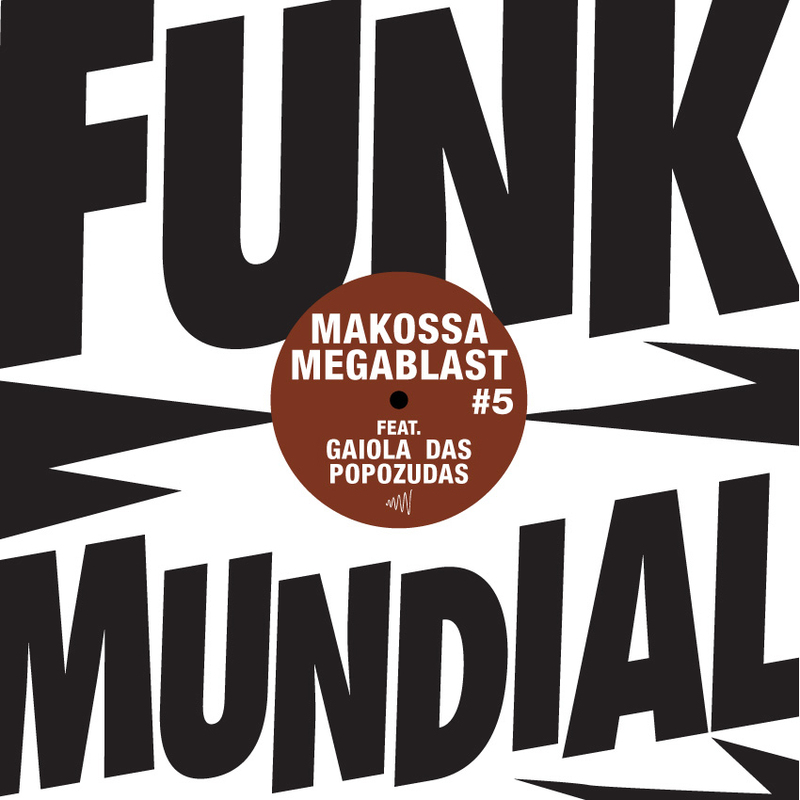 For the slack, and playful lyrics of „Late Que Eu Tô Passando“ („use some rubber when I come around your house“), Makossa + Megablast provide the most laid back grooves and deepest atmospheres in the series so far. The hybrid could be described as baile cosmic electro, it’s a fusion of a unique kind, that brings together the smoked out Viennese interpretation of cosmic disco (the heroin induced, late 70s Italian version of disco) with the strong female vocal power of baile funk MCiing. The result is a irresistible tension building up in a track that brings every dancefloor to a mad frenzy. The original baile funk version of „Late Que Eu Tô Passando“ is already a huge hit on Rio de Janeiro´s baile funk radio stations. It is a feminist rhyme about lovers who come around women’s houses but refuse to use condoms. The Euro version provided by Makossa + Megablast turns the she-anthem into a mighty groove track, spiced with the fever of Rio’s hottest girls crew. No doubt, these tracks will introduce the sound of baile funk Mciing to more clubs around the globe.